Caramba is a strong partner for commercial workshops and has offered tailored solutions for specific problems for more than one hundred years. It is no different with our drilling and cutting oil foam. This highly effective and adhering foam allows you to process metals even gentler to the tools in your business. 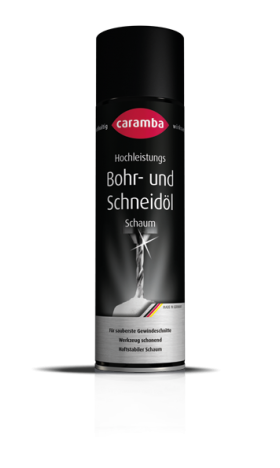 Give your personnel, machines and customers only the best materials and additives and trust Caramba – your specialist for cleaning, care and maintenance in workshop and trade. Precision is of utmost importance particularly when machining functional metal parts. Each part must fit to the millimetre to ensure the satisfaction of the final customer. To achieve such results, superb tools are required and also appropriate cooling and lubricating products. 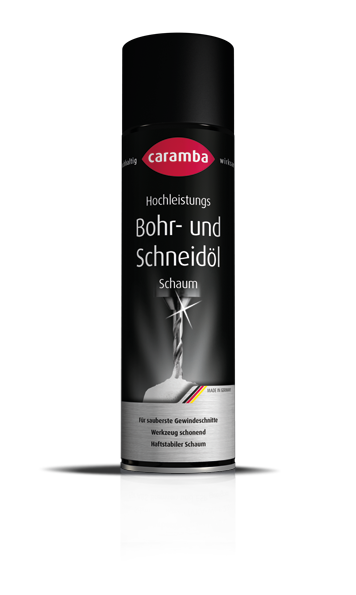 Caramba’s drilling and cutting oil foam meets the highest requirements and can be used for almost all types of metal and casting materials. It is also compatible with all water-miscible cooling lubricants and can be easily washed off using water. Thanks to its excellent cooling and lubricating effects, this foam protects both the material and also the tools and allows the neatest thread cutting results. Our drilling and cutting oil foam is a high-performance product that has been specifically designed for commercial applications. Therefore, it is absolutely necessary to use this product with care and conscientiousness. Nevertheless, the use of this product is quite simple. Spray the drilling and cutting oil foam on the dry workpiece and allow it to flash off for a short time. After that, you can already start your machining. Excess foam can be easily rinsed off using water after the work. Despite its efficiency, our drilling and cutting oil foam is free of volatile chlorinated hydrocarbons as well as mineral oil and sulphur and is thus especially environmentally safe. Before you use this product for the first time, please also note the information on the packaging and safety data sheet. 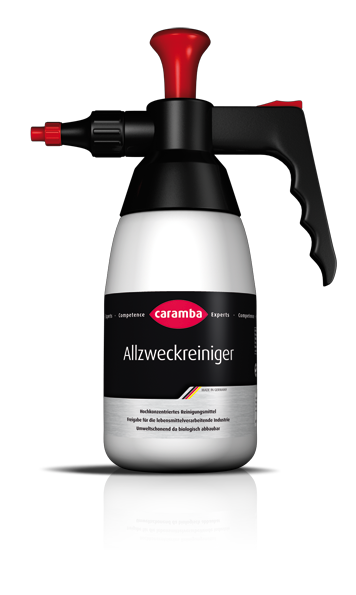 Cutting, drilling and milling more precise than ever before – with Caramba’s drilling and cutting oil foam.